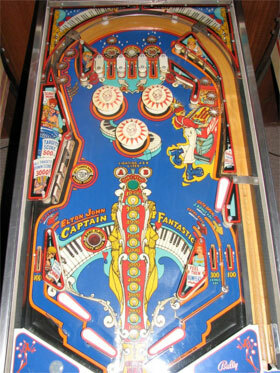 Check out these Bally Captain Fantastic Pinball Machines for sale. You will also find parts and accessories for current owners including the rubber ring kits, decals, manuals, translites, flyers, sling shots, and vintage ads. 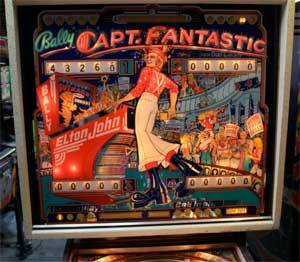 Captain Fantastic was inspired by the music film Tommy and includes an image of Elton John in amazing huge boots, as he is portrayed in the movie, playing pinball on the backglass.